Obviously the first line of defense in allergy control is to avoid / reduce allergens. 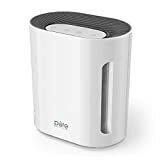 However, as total elimination of allergens is very rarely possible or practical, using an air filtration systems like HEPA can help to relieve /reduce allergy symptoms. HEPA (High Efficiency Particulate Air) air filters use activated carbon and zeolite to remove pollen, mold spores, animal dander, and fumes. HEPA filtration technology was first developed in the 1940's by the U.S. Atomic Energy Commission to remove airborne radioactive particles. 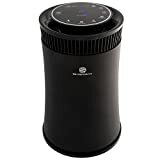 Today HEPA air purifiers are used in homes as well as in hospital operating rooms, pharmaceutical and computer chip manufacturing and other commercial applications which require extremely clean air. HEPA filter units can capture particles as small as .30 microns in size and reduce up to 99.97% of non-gaseous indoor allergens. To qualify as a "true" HEPA, the filter must allow no more than 3 particles out of 10,000 to penetrate the filtration media. Most HEPA units use pre-filters which are either replaced or cleaned every few months. 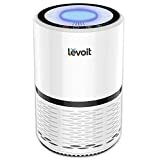 Some HEPA air purifiers also include ultraviolet (UV) bulbs which are designed to kill mold, viruses, bacteria, fungus and yeasts. 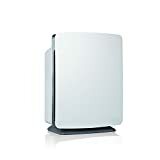 HEPA home filter units are small, portable and come with various fan sizes which are capable of cleaning different size rooms. To be effective in reducing allergens, HEPA units should be run with the windows closed, and should be powerful enough to change the air in a closed room roughly 6 times per hour.